I would like to share with you a letter I received from a former student. I would like to thank you for changing my life. I was underachieving in school and was about to drop out. You see, I was having difficulty finding relevance in short stories we were reading in school. My plan was to drop put and become a hobo…until you did this great speaking and listening lesson plan that made the stories I read relevant. I decided to stay in school. I now make movies that touch upon relevant issues in society. I think you should share this speaking and listening lesson plan with the masses via a website or something like that. Although I did a Google search searching for this Spike L., I found nothing. I will, however, grant his wish and share the lesson plan. Enough with changing the world, just give me the ELA Common Core Standards this lesson covers. SL.9-10.1c. Propel conversations by posing and responding to questions that relate the current discussion to broader themes or larger ideas; actively incorporate others into the discussion; and clarify, verify, or challenge ideas and conclusions. SL.9-10.1d. Respond thoughtfully to diverse perspectives, summarize points of agreement and disagreement, and, when warranted, qualify or justify their own views and understanding and make new connections in light of the evidence and reasoning presented. RL.9-10.2. Determine a theme or central idea of a text and analyze in detail its development over the course of the text, including how it emerges and is shaped and refined by specific details; provide an objective summary of the text. The lesson itself is simple and takes anywhere from 5-50 minutes. Make a questionnaire. The questionnaire should elicit responses that can be discussed. Factual questions are not ideal. Discuss answers to the questionnaire. Your discussion can last anywhere from 5-50 minutes. Options include holding a debate or small group discussions. Here are some sample questionnaires I have used to introduce short stories and fulfill the standards for a speaking and listening lesson plan. I’m not seeing a whole lot of positive communication here. I think these two could use a speaking and listening lesson plan. The first one is from “The Most Dangerous Game” by Richard Connell, a common short story taught in high school. I like to call the contest between Zaroff and Rainsford one of the greatest conflicts in literature. Your students will call it fantastic, once you engage them with the survey below. Write A if you agree. Write D if you disagree. ___ Hunting is a sport. ___ Animals have no feelings. ___ Strength is more important than intelligence. I used this survey on Tuesday of this week. It led to a 25-minute intelligent discussion, which we alluded to as we read the story. Here’s another one I’ve used for “The Necklace” by Guy de Maupassant, a much anthologized short story for high school and even middle school. ___ Being popular is important. 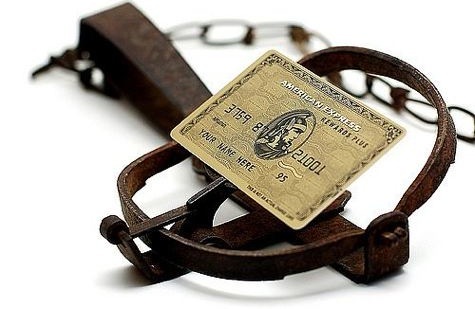 ___ Using credit cards for buying what you want is OK.
___ I care what other people think. ___ Husbands have a responsibility to help their wives be happy. ___ It’s ok to be a high maintenance girl/boy in relationships. Here’s a good one for “The Black Cat” by Edgar Allan Poe. ____ Pets make wonderful companions. ____ Black cats are bad luck. ____ It’s ok to beat a dog or cat. ____ Animals prefer being pets over being in the wild. ____ Animals do not have feelings. ____ A guilty conscience is worse than getting caught. ____ There are few things in life sweeter than revenge. ____ Pride comes before the fall. ____ Consuming alcohol (legally) causes tragedy. ____ It is possible to get away with crimes. ____ Revenge is only successful if I don’t get caught.